The Winner will get to choose 3 images of their choice from the store. Hop over to CWWCC and let's see your version of monochrome. Hi there, what a sweet image and a very cute card! such a cuuute card! I really love the colors you have used for this monochrome card. 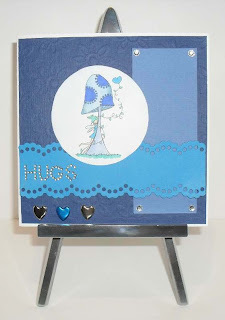 Fab card, love the blues. Gorgeous card with a great take of Carly's sketch....thanks for playing with Sketches by Carly! Hi Poppet, great card! Love the sentiment!